Islay. Remote and peaceful. Until a spade finds a human hand, a pointer to a crime. And under the peat, five corpses, unnamed, executed. Inspector Angus Blue builds his team. The evidence leads them to a wartime base. And the peat dead live begin to again, from documents, databases, recollections. But there’s a secret from way back, that needs to be protected. So bodies are stolen, witnesses die, truth is invented. The Peat Dead. History doesn’t go away. 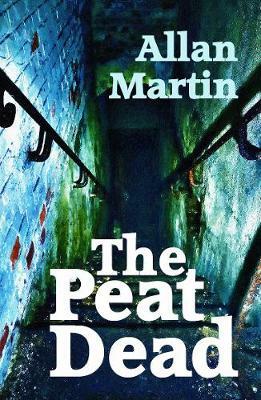 The Peat Dead is Allan Martin’s first crime thriller. The launch will be introduced by crime writer Douglas Skelton.